As simple as combing your hair! 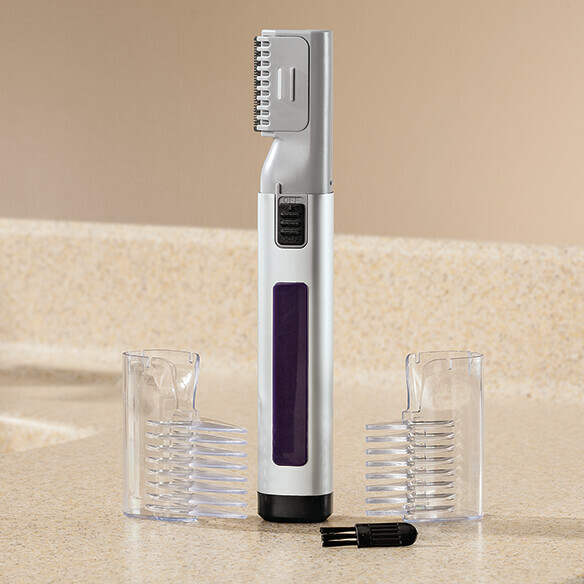 This lightweight Battery-Operated Hair Trimmer makes trimming your hair easy. 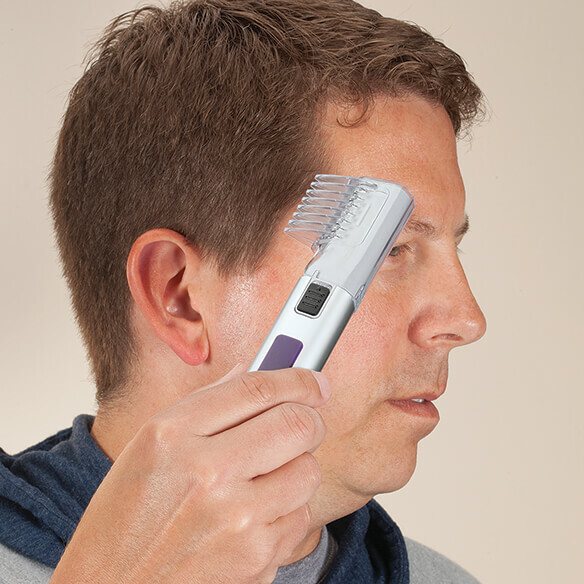 Just switch the cordless hair trimmer on, hold it parallel to your head, then run it through hair in a combing motion front to back. 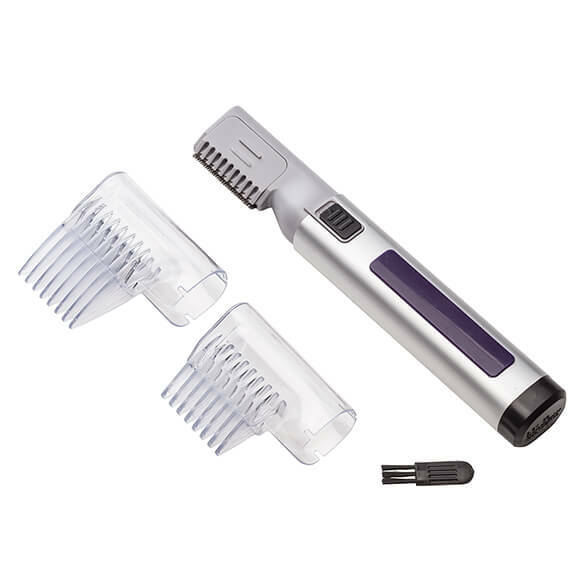 Includes two slide-on comb attachments to select different lengths. Additional uses include trimming necklines, beards, mustaches and unwanted body hair. Hubby thinks this is a great tools to have between hair cuts. We previously owned this & is warn out after many years of use. Because I have short hair and sometimes need just a trim.